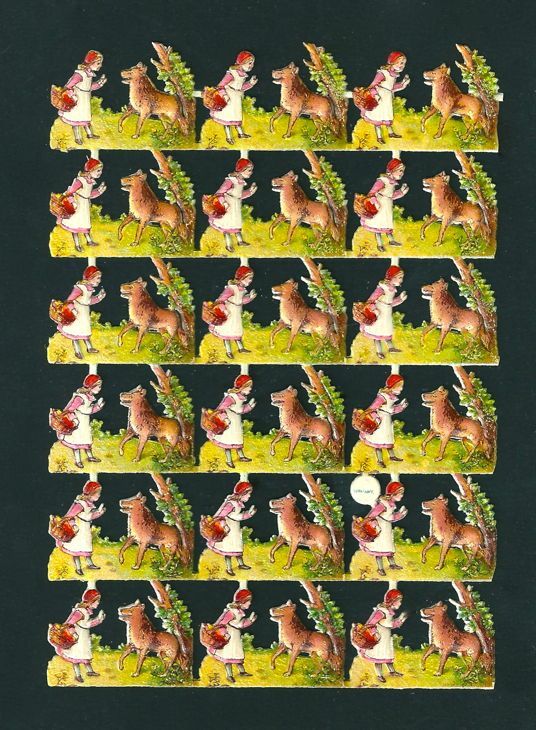 Complete sheet with 18 x Little Red Rinding Hood. In the past these scraps were also used for Christmas ornaments, especially for ' Sebnitzer ' ornaments. Measurement: 5 " x 3 1/2"